As a Mum myself, and having a group of friends with children of the same age as mine, I started to think about how we often chat about going out for a ‘night off’ or having a ‘child free day’ just us lot, because let’s be realistic, as much as we love our children, we do need time to ourselves. Then I thought about how it would be amazing if we could all escape for a weekend getaway, just us Mums, but where could we go? And what could we do? And how would we even begin organising it? 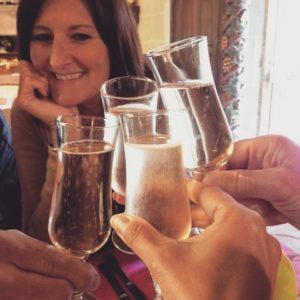 Then I started working at Grape Escapes and realised that we can offer what all Mums would dream of; good company, relaxation, wine, food, time to yourself and a well-deserved break away from the kids (as much as we love them!). Our Grape Escapes group trip to Prosecco includes two nights at the 4* Hotel Relais Monaco, which consists of 79 rooms, a gourmet restaurant offering fresh and delicious local produce, and leisure facilities including an outdoor swimming pool, sauna and fitness suite. 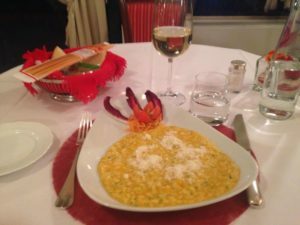 The package priced has been based on sharing twin Comfort rooms and includes return airport transfers between the hotel and Venice Treviso or Marco Polo airport, private chauffeured MPV(s) for a full day, tours and tastings at two Prosecco wineries, a picnic lunch, and a three course dinner. Prices start from £319 (GBP) per person. 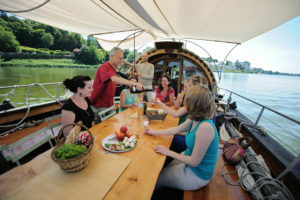 Alternatively, you may like our Essential Angers break, in the beautiful Loire Valley, which includes two or three nights’ bed and breakfast accommodation at the 4* Hotel d’Anjou in the historic city of Angers, one or two tasting sessions, one or one and a half day guided and transported tours with tours and tastings at three or four wineries, a lunch and a dinner. Prices start from £389 (GBP) per person. Another perfect getaway is our Hidden Gem Château de Saint-Martin in Provence. The package is based at the charming 18th Century Château de Saint-Martin and includes two nights’ bed and breakfast accommodation. 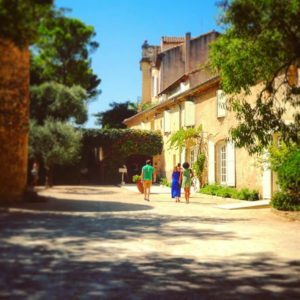 The package price depends on which room grade you would prefer and includes a glass of sparkling wine with a pastry and a slice of cake on arrival, a tour of the Château’s winery followed by six tastings and a picnic lunch, and bike hire or return taxi transfers to another Provençal winery for a guided tour and tasting of the estate’s wines. Prices start from £286 (GBP) per person. We look forward to taking the stress away, and planning your next ‘mum’s weekend getaway’! Contact us on +44 1920 468666 or email info@grapeescapes.net for more information!